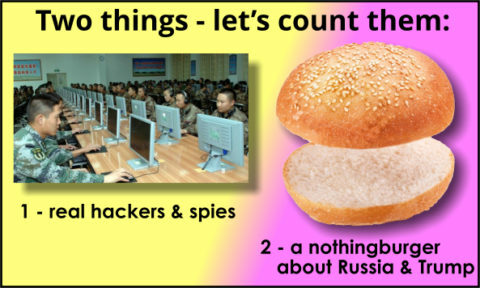 The Left’s assembly line lie factory does not just manufacture a perpetual supply of nothingburgers. It continues to serve them up time and again, promoting them 365 days a year. By rehashing the same old lies, they gradually treat the nothingburger as fact and hope nobody notices. A few days ago Kevin Miller, Deputy Managing Editor of Bloomberg News, cooked up an article about Trump, rehashing some old nothingburgers. It was then taken up by other media, even as far away as Australia’s Financial Review. You will notice on that Australian link that Kevin Miller’s name appears at the top of the article, and you have to scroll all the way down to the very bottom before you see the word ‘Bloomberg,’ without any other references. I think some readers would assume Kevin was an Aussie working for the Financial Review since the reference to Bloomberg is hard to find. In fact, Kevin Miller is an American from Chicago, Illinois. He and his fellow anti-Trump journalists will scour any tidbit about Trump to create controversy. Some are quite desperate. 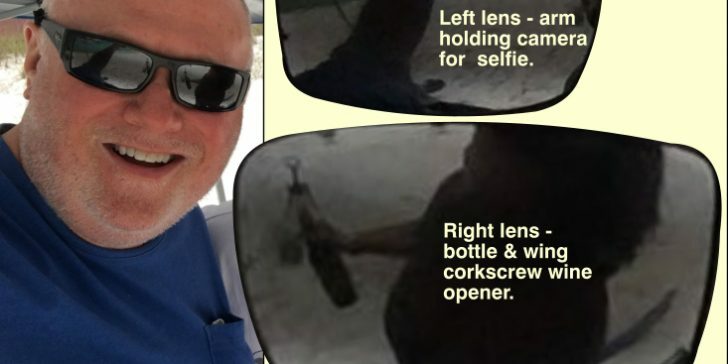 If there was a photo of Trump on a boat at the beach for instance, and his sunglasses reflected someone with a bottle of wine, journalists would zoom in on the lenses to see the detail and make a story out of it. Speaking of such things, here is a selfie Kevin Miller took at the beach. Imagine what someone like Mueller could discover about Kevin on that day if he and Billy Bush and a crowd of others had some drinks on a bus and put an open mic on Kevin, while he played guitar and piano poorly and often. Imagine a man like Kevin, say, Bevin, working for a media company like Bloomberg, say, Gloomberg, being encouraged by Billy Bush and others to open up during locker-room banter. Everything Bevin would say would be rousingly cheered, and Billy would goad him into telling bawdy jokes, and laugh hysterically at every one. What gags would Bevin tell? What tidbits about his love life might he spill? Would the man brag about the secretary who took him to her room after the convention that time? Would he boast about how some women would let him do anything because he was an editor? Imagine the sound-bites you could acquire on tape, from Bevin. If you gave Kevin the same treatment, what could you gather? How about Kevin’s boss, Michael Bloomberg, who ridicules his President for not swallowing the man-made climate change hoax? If Michael was on such a bus 13 years ago, being egged on by a bunch of admirers, pushing him to open up with locker room banter, what might he have said? Would the liberal media take that tape and beat it up into a huge controversy? No, because Michael is one of them. Trump suffers that fate because the Left will do anything to make him look bad. When it is turned back on them they think it is outrageous, but when do they have to suffer this treatment other than on this site, RushLimbaugh.com, Breitbart.com and a handful of others? How can I feel guilty for zooming in on a liberal journalist’s sunglasses, when I know this is precisely what Fake News would do with Trump? 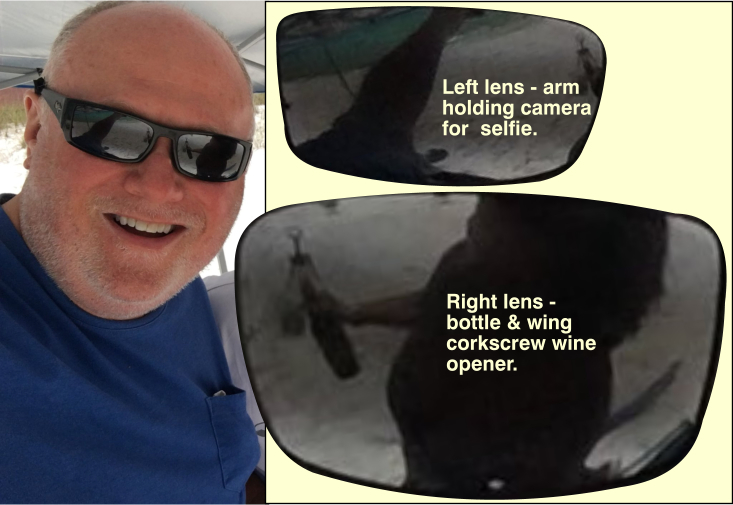 Had there been a reflection of someone with a wine bottle in Trump’s glasses, the Fake News about him being a wine drinker would abound. “Trump a Wino!” “Trump Lied About Not Drinking!” “Trump the Drunk!” You name it, they would say it. Bosses of the world’s largest corporations are still learning to deal with one modern peril: when President Donald Trump shows he’s not afraid to call them out on Twitter. There are three critical points to make about that paragraph. 1) Miller called General Motors ‘General Motors Corp.’ which is its old name. GM filed for bankruptcy in June 2009, and its best assets were sold to a new, stand-alone company the following month in a deal that was funded with $50 billion from the U.S. government. The rest of its assets were put into another entity called Motors Liquidation Company. The company then went bankrupt and “General Motors Company LLC.” rose from its ashes. Did Miller, the deputy managing editor of Bloomberg News, miss out on this massive development? Think what he and his comrades in the liberal media would say if Trump made an error like this. It would be front page news. 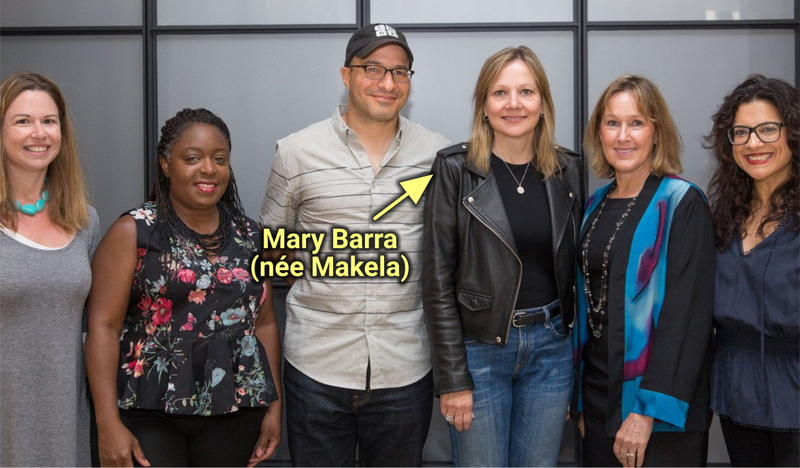 2) Regarding Mary Barra, I dealt with her a week ago. In 2016, she joined a business forum assembled by President Trump to provide strategic and policy advice on economic issues. However, she left the forum in 2017, following Trump’s response to the Charlottesville protests. Only a politically naïve Lefty would do such an irresponsible thing. I also pointed out that Trump has every right to talk about removing subsidies. Obama tossed a lot of money at GM for their electric car subsidies, and don’t forget the 50 billion dollars they cost taxpayers during their bankruptcy. He refers to Laura Colby’s feminist book about Barra ‘shattering the glass ceiling’ which is feminazi-speak for “How to steal jobs from men by destroying merit-based promotion.” Why does Miller like Laura Colby so much? 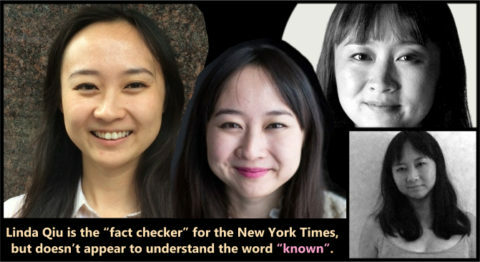 Could it be that she also works for Bloomberg? It seems they are comrades in arms, helping one another out. Case in point: Apple Inc. CEO Tim Cook’s stand against violent neo-Nazi protests in Charlottesville, Virginia, in 2017 was a direct rebuke to Trump’s statement that there were good people on both sides of the issue. As I said above, the Left rehash the same old lies, gradually treating the nothingburger as a fact, and hope nobody notices. 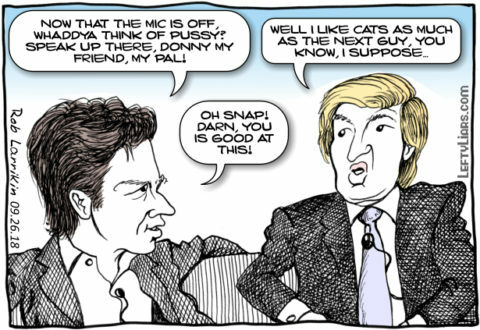 Miller implies Trump was supporting Nazis, which is a crock. The way Fake News created a nothingburger out of Charlottesville was by pretending there were only two groups involved. There were more than two groups. Conservatives came with a permit. A second group also came with one, but another extreme group did not. They were the gate crashers who mixed in with the main groups. 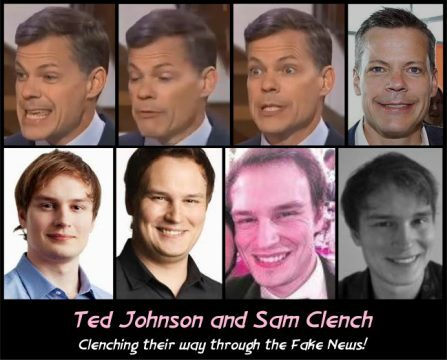 The press pretended there were only two groups. When Trump spoke about there being good people, he was referring to the first group I mentioned. The whole transcript can be seen here. Read the entire statement, and you will not find any lies.